The 49th Allan Scally Memorial Relay Race will take place in Glasgow Green on Saturday 2nd March. Racing starts at 12 noon and finishes at 2pm. Around 150 participants expected this year. The race will be taking place on the paths network within the green. Measures will be put in place to ensure minimal disruption along the cycle route. Come along to the GoBike #paintisnotprotection protest on University Avenue, today Sunday 10th February, at 12:00 noon, gathering outside the Wolfson Medical Building. We are going to create a human cycle lane along University Avenue to highlight the desire for segregated cycle infrastructure, on this important route. This is missing from the current University plans to develop the road. GoBike calls for a drastic overhaul on gritting priorities from Glasgow City Council. Almost 50% of Glaswegians don’t have access to a private car. For them walking and cycling is not active travel, but is how they get around. Transport Poverty is a real factor to a number of people in this city. Last week saw ice return to Glasgow. At the same time the focus of getting Glaswgians to participate in active travel seemed to go out of the window. Footpath and cycle lanes were ice rinks. In the light of lots of disquiet from our members about the unjust priorities the council have set for gritting, we have decided it is time for action. Glasgow City Council regularly get enquiries from conference companies looking to organise fun runs on the Clyde Walkway/NCN 7. This is often in relation to medical conferences taking place at the SEC. With runs between the SEC and the Riverside Museum the most poplar requested. The second annual GoBike Call For Action day will be taking place on the 28th of July. 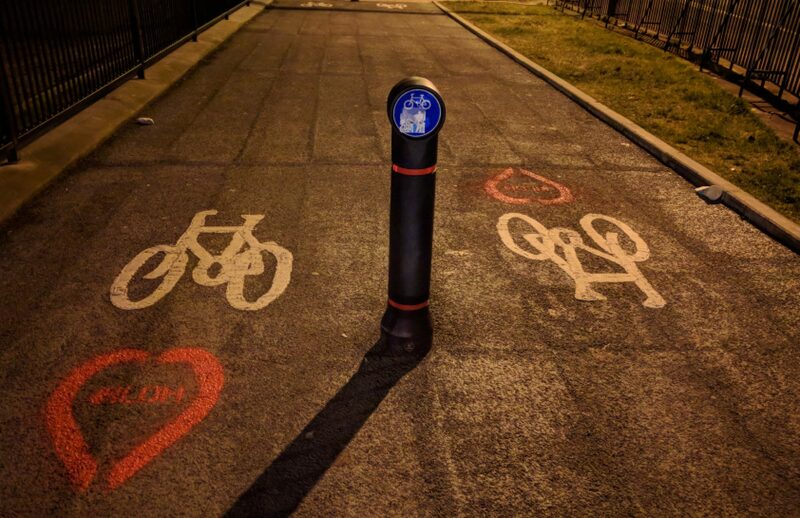 Last year’s event resulted in some amazing campaigns including the high profile #GlasgowCycleInfraDay17 and the creation of Friends of South City Way. The event will take place from 13:30 to 16:30 on Saturday 28th July in Glasgow. We will have an announcement soon on the venue, as well as the ability to book via Eventbrite but for now, stick 28th July in your diaries!